BOX SETS - EXTRAORDINARY GIFTS FOR EXTRAORDINARY PEOPLE! with decorative box. All signed by artists. 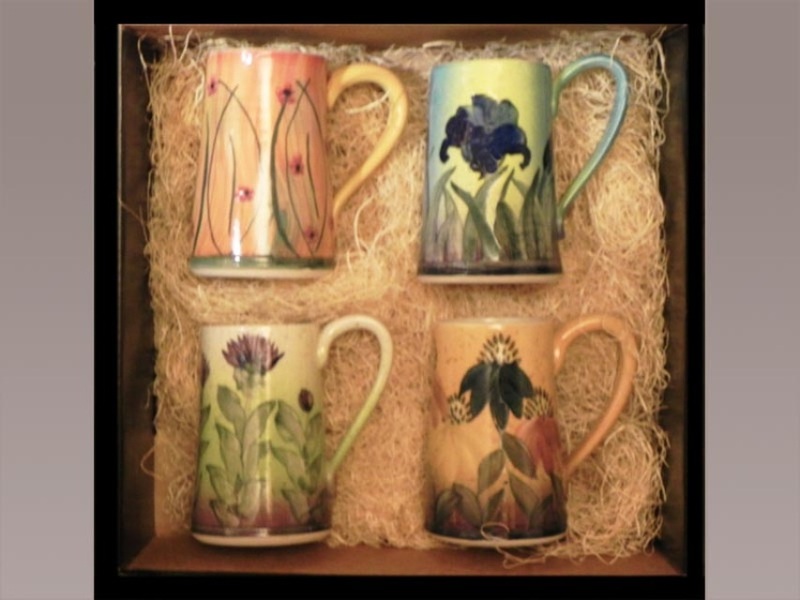 For a different set of mugs - tell us which ones in the note to seller box on checkout page. in Decorative Box. All signed by artists. Our new Paris Vase and our most popular Flair Vase appear together in this wonderful set of table vases. ​ The Cone Flower features warm gold backgrounds with flowers in blues, pinks, purples and yellows, a garden unto itself. 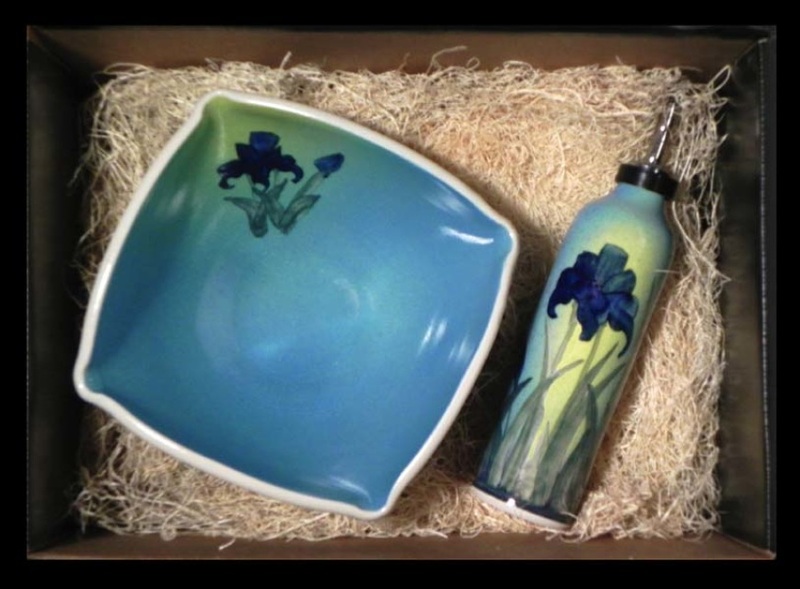 The Iris design is quite blues with a splash of light behind the flower. Perfect for the table or the shelf. Handmade and hand painted. 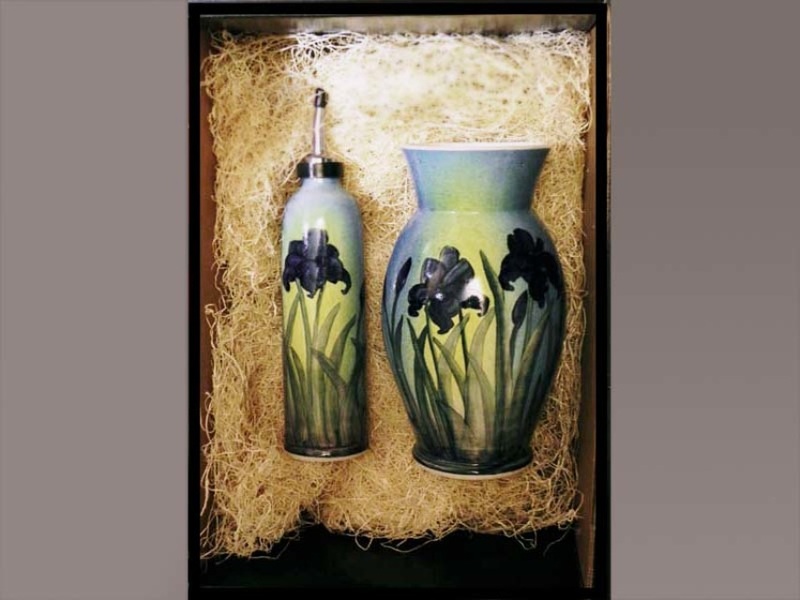 Square Bowl and Oil Bottle in the Iris Pattern. Bowl in 9" dia. Both pieces are hand made and hand painted. signed by artists. Two hand thrown and hand painted cereal bowls and two 12 oz. 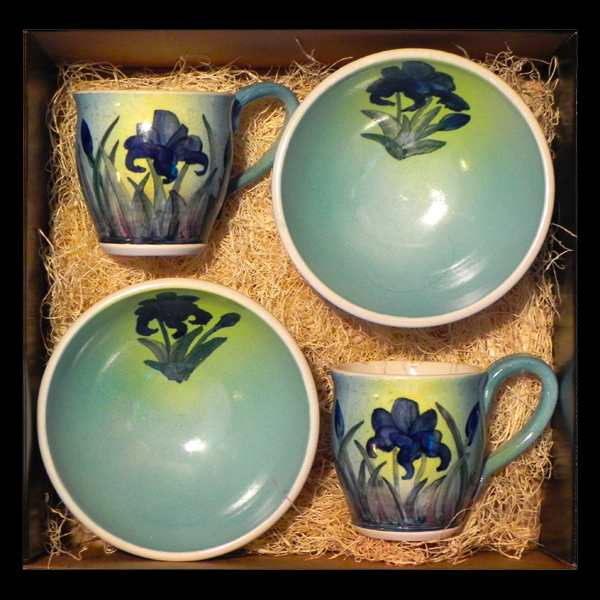 round mugs in the Iris pattern. Signed by artists. Dishwasher and microwave safe. 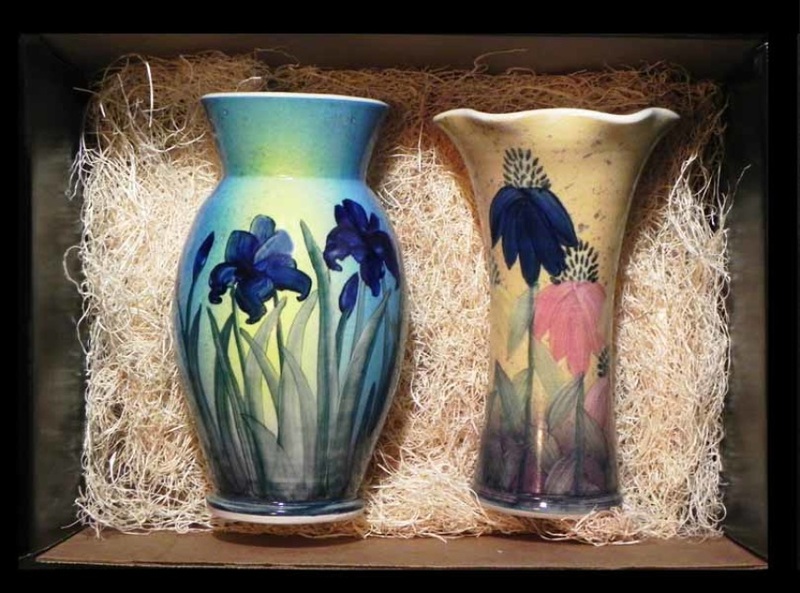 Eight inch Oval Vase with decorative handles and two 12 oz. 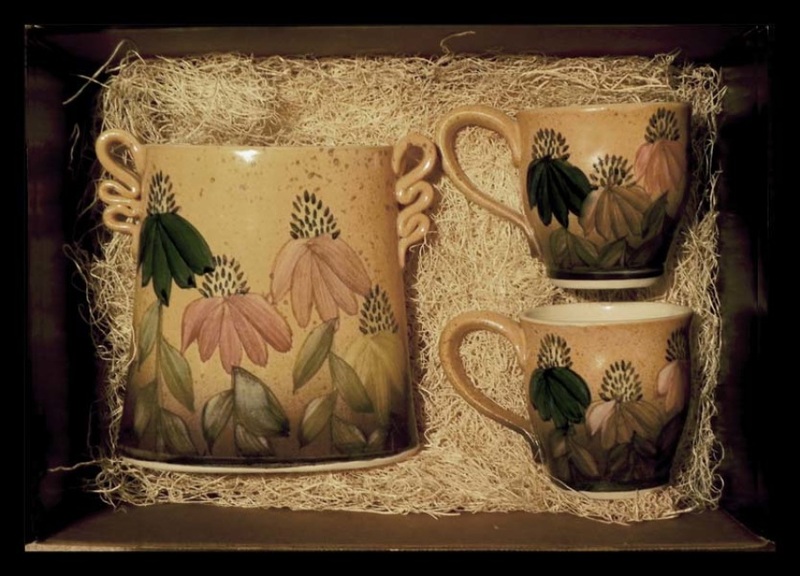 Round Mugs, Cone Flower design. All items signed by the artist. 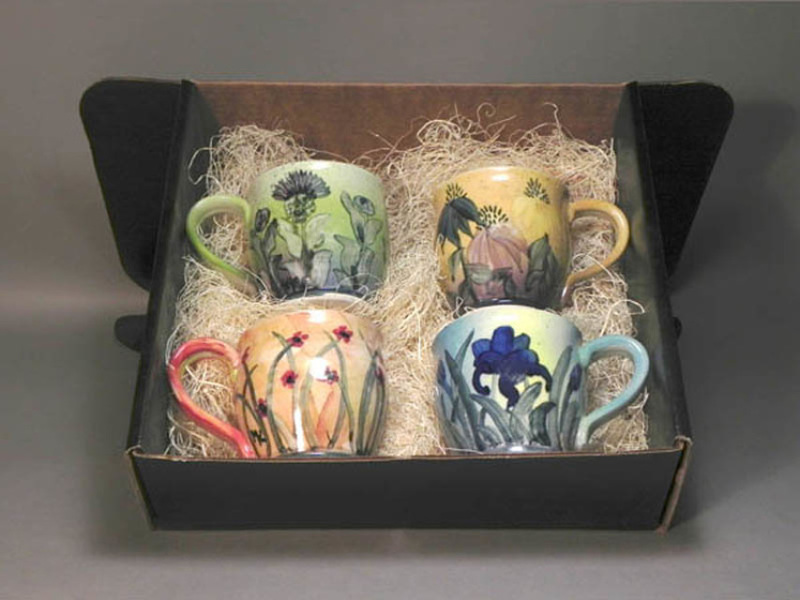 ​ They are hand thrown and hand painted. Dishwasher and microwave safe. A lovely combination of two most popular items.